For the electric motor and transformer industries HeatTek offers heat coating & curing systems. Our background and expertise in the electric motor industry dates back over thirty years giving us the expertise needed to design a custom designed system that meets your expectations and more. In the past, HeatTek primarily designed and built convection ovens, however with the changes from high VOC based varnishes to water based varnishes and epoxies and quick curing resin formulations the equipment has evolved into smaller lean cell concept machines. As a result of this, HeatTek’s designs now include virtually any heating method including not only convection heating but induction, infrared, resistance, and combinations or these methods as well. 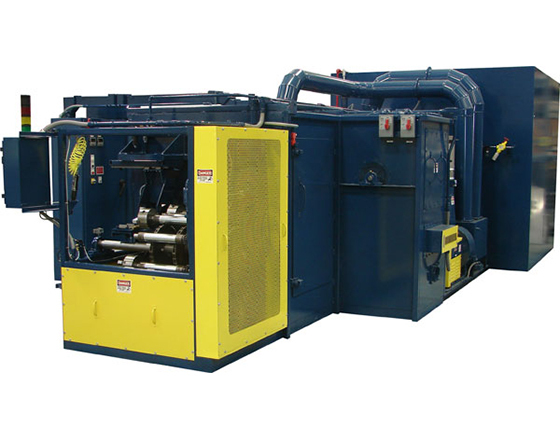 HeatTek also offers paint bake, rotor shrink ovens, lamination burn off and annealing equipment. View Our Electric Motor Brochure Here.